A long dead maggot was still on the fish hook. I removed it from the faux maggot lure I had just pulled from a low tree branch. 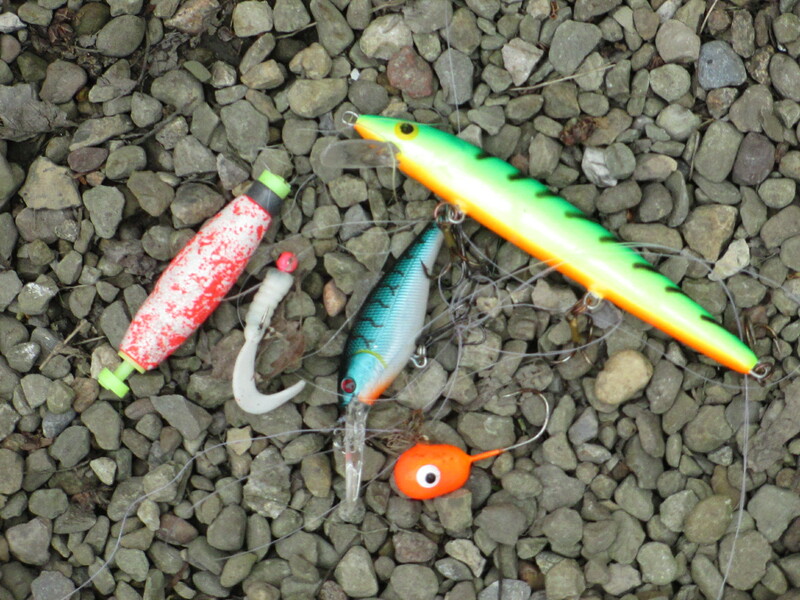 Each time I kayak along the Pymatuning Lake shoreline I usually find one or two lures to add to my collection. Some lures (etc) found at Pymatuning Lake, including the maggot lure. But the real maggot was an added surprise. Thankfully, I don’t see many maggots, dead or alive, but this one reminded me of when I saw a bunch of live ones. During my college days I lived in a third floor walkup with no a/c. Once I let food sit in the garbage. It was July. ‘Nuff said. I’ve always loved the expression my dad would say: “That’s enough to gag a maggot.” So visual. So sensory. So, so, gross as my middle school students exclaim. You could almost admire the beauty of maggots—those little creamy white (and textured!) fat bodies wriggling!—if they weren’t so, so disgusting. After all, we know what maggots do, what they turn into. But how necessary they are. Because creation is subject to decay, we need creatures—where I live, crows and turkey vultures and maggots—to move the process along. Some may call this “the circle of life.” I see creation groaning, waiting for redemption, and God crafting specific creatures to see us through the decay until redemption comes. Thanks Betty. Sometimes what seems so “disgusting” has great value. A lot to think about!